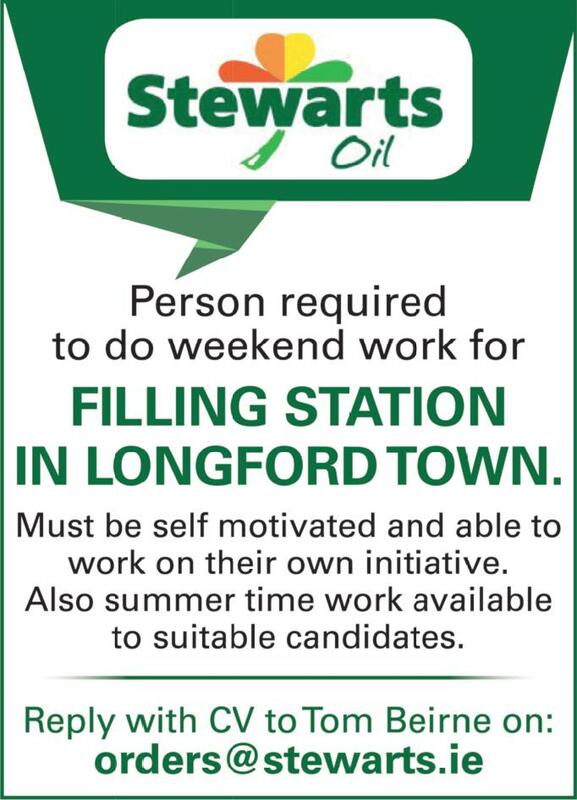 Stewarts Oil is seeking a person to do weekend work at a Filling Station in Longford town. The ideal candidate must be self motivated and able to work on their own initiative. Also summer time work available to suitable candidates.